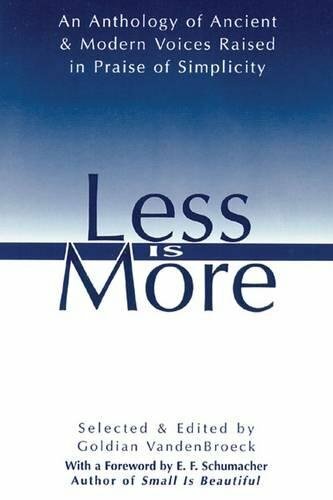 Less is more meaning can take various forms, depending on those who utter the quote. A parent might try to teach a child a gentle lesson, while some may turn the less is more quote into an entire lifestyle (like yours truly). Obviously opinions vary widely, with everyone having their own interpretation and ideas. So what does it really mean? This is the place to share your input with others!! Do you believe, truly believe, that less is more? Certainly, we say it out loud...but do we truly think that it is so? I'll go first. One would think, because we sold our earthly possessions and moved into an rv, that we are the poster children for believing that less is more. But, in fact, we aren't. Maybe we are on the right path - but we still have comforts of home like laptops, cell phones and other items. What is the harm in those things, you might ask? 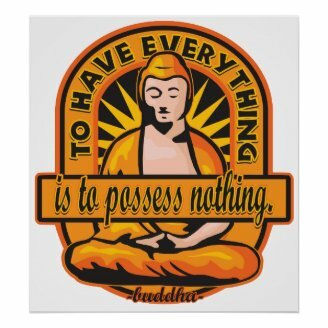 Well...we are tied to those "things" and worry about them in various ways...cluttering our minds with possessions that, in truth, truly don't matter (or shouldn't). Can't even tell you the ridiculous expense of having cell phones and internet via Verizon. Also, our electronics (at least some of them) act as if they are only months away from receiving a terminal illness diagnosis...which creates stress. So how far does less is more go? Do we strip down to only the clothing on our backs? Do You Believe Less Is More? Why? Not when it's the tools of your trade that you have to give up. Oops. Another whiny day....It's grey and raining. I'm allowed. I believe less is more because, in my experience, the more I've had in my life the less happiness (more stress) I've been. When I have few obligations/worries I am much more fulfilled and at peace. 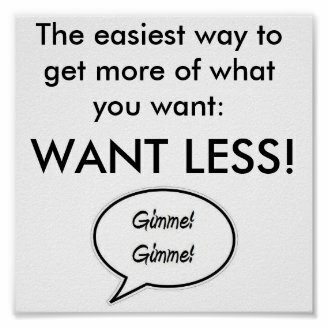 Learning How You Can Be Doing More With Less Is The Trick! So let's say, for the sake of argument, everyone is on board with doing away with every unnecessary item in their life. Now what? Is it enough to have a mega garage sale or is it something deeper than that? Personally, I think it is much deeper than that. If we miss it, yearn for it, still want it or "struggle" without it, then have we truly grasped the concept of less is more? Here is our personal example that only scrapes the surface. Because of our "stuff" we had to pay a price. The price was high. It entailed being away from home to work at jobs that enabled us to pay for all of the stuff. it also included having a home big enough to put all of the stuff in. In fact, when we bought a large home years ago, we didn't have enough stuff so some rooms looked empty...so there we went, buying stuff to fill it. Then there was the being tied to the house, because things break down and need repair (more money). Then let us not forget the upkeep - like the lawn and cleaning this monstrosity. To go to our separate jobs we needed more than one vehicle - double insurance, car repairs and one had a car payment (keep on working, keep on working). So for us, though we are not the pristine example of less is more, when we decided to walk away from it all (yes, we sold it all, got rid of the house, cars, etc.) it was for a clear purpose - to be able to do more with less. We knew that if we didn't have such obligation to our things, we would actually have MORE freedom, MORE time, MORE laughter instead of stress. We willingly let it all go because we knew WE WOULD BE MORE WITH LESS! Would You Take A Less Is More Challenge? Would You Consider Living With Only What You NEED? Yes - But I'd Hate It! Less Is More Fashion? No, No, NO! 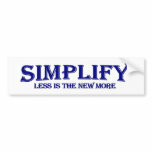 So less is more...and many people are into simplifying, reducing clutter and jumping into minimalistic living. Wait! What is wrong with this picture??? One phenomenon that has taken place in recent years, even being featured in the news, is that of building a tiny house. 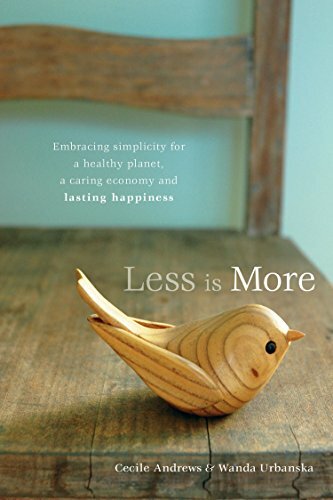 This is a wonderful idea to truly experience less is more living and you can do it yourself (or with a little help from friends). Yes, this began with people actually wanting to live in the square footage that they needed. It is a WONDERFUL thing and there are plans that most semi-handy people can construct for little cost. The Tumbleweed Tiny House Company, for example, has really taken hold of this market as well. There are, indeed, people building these mini houses to live like a minimalist. But then the marketing took off and those who have a LOT thought these would be great for an addition or spare guest house as well. Same with de-cluttering, simplifying, organizing...it's not just those trying to profit from those wanting to simplify their lives - now you have to buy things to do it? Organizers, bins (the price on these amaze me...especially those color coordinated for the holiday seasons! )...are we missing the point here? Then you get into clothes fashion and home decor, where people are preaching "less is more!" 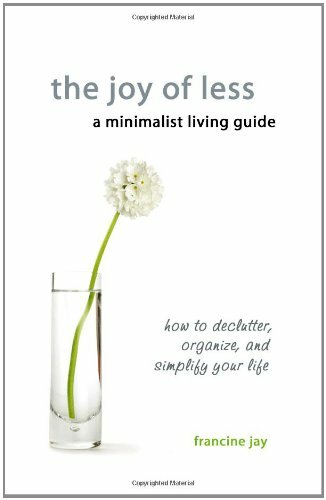 It would seem, people are profiting off of minimalistic living...as well as the concept of less is more. I agree with Ragtimelil and you - it is the balance that is important. 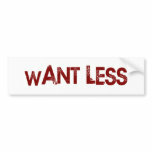 I am working toward the "Less". But of course, I still need it to be "Enough". Good thoughts. I struggle with this even now with way too little income and space. It's great to minimize. I'm all for that, but you can go below what is comfortable. There is a balance point somewhere. I'm still searching for it. Living in the moment quotes or quotes about living in the past can remind you every day that the key to life is to live in the present. Looking forward or backward can be blinding.